Our Layout Templates are provided in PDF format to guide designers on setting up their files for print with Jukebox Print. Download the template appropriate for the product you will be ordering. (ie. Width: 3.5, Height: 2 inches for standard size business cards). Click “More Options” to expand the advanced settings. Set Bleed to 0.125 inches on all top, bottom, left and right. Place the template PDF into the document (File > Place) and align it with your document. The bleed area and safety margin areas in the template PDF should match the guides shown in the document. NB. 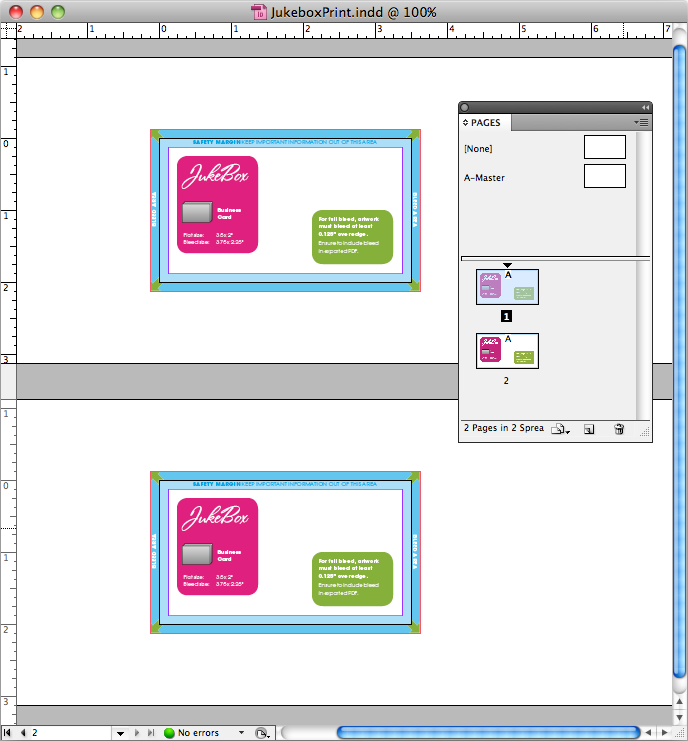 For custom shape templates, you will need to place page 2 (for the front) and page 3 (for the back) in the document. This will show you the bleed area and safety margin to help set up your artwork. You are now ready to start designing. Important - Before you submit your file(s) for printing, it is essential to delete the template. 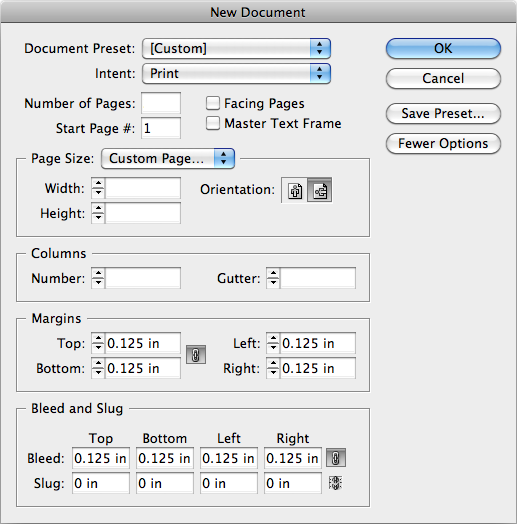 See: Exporting a press-ready file from InDesign. Can I download the template in another format?